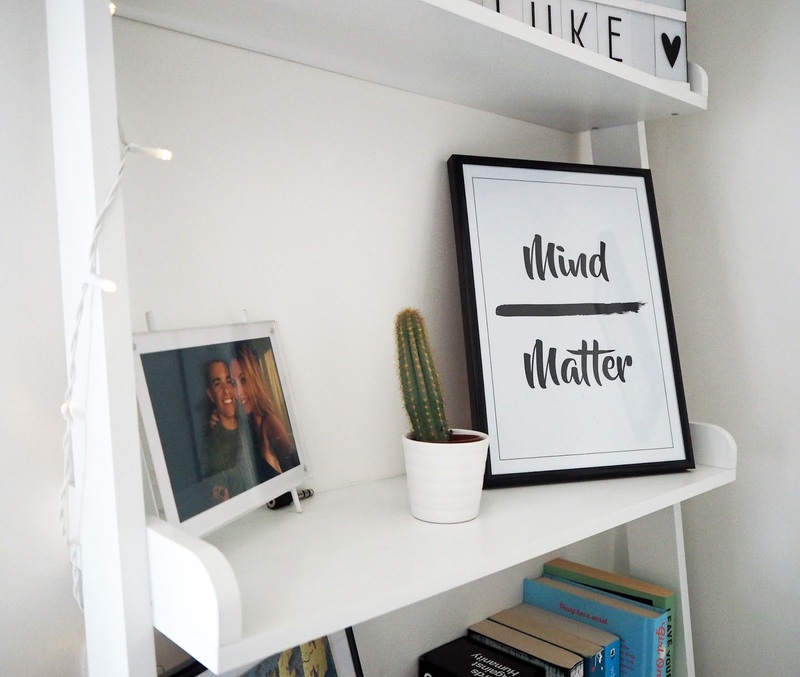 Today’s post is something I’ve wanted to share more of for a while now, as I’m such a sucker for interiors, and I prefer home-shopping to clothes shopping these days. 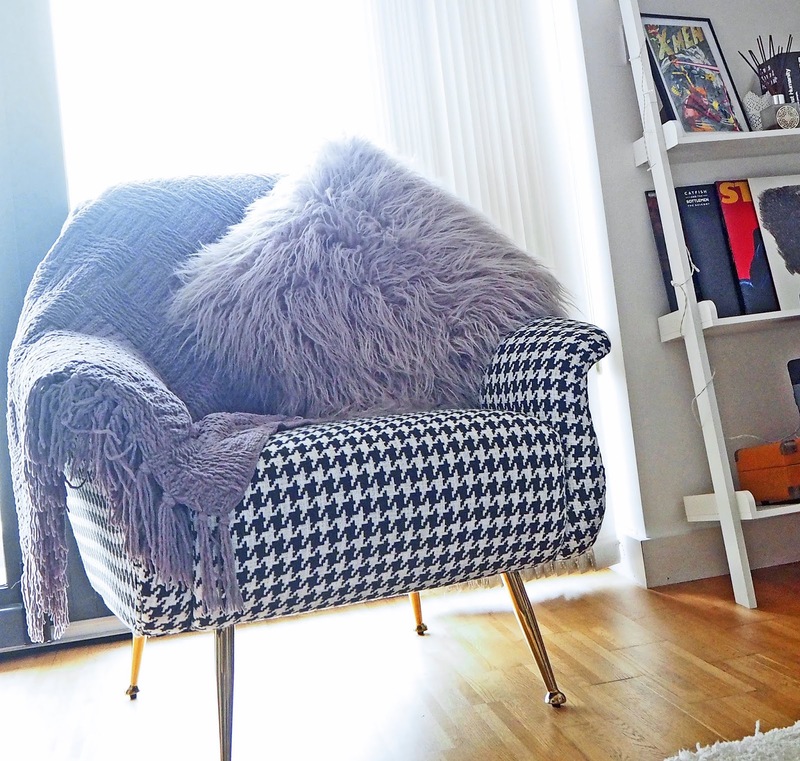 SO it only makes sense that I keep my blog moving forwards with me and include interiors in my content. At the moment I share a flat in Manchester with my boyfriend Luke, and we have made such an effort to make what was a very, very blank canvas when we moved in back in 2017, into a place we can both happily call home. So here are a few of the things I swear by to make a real difference to a rented property that you aren’t able to change all that much. 1. 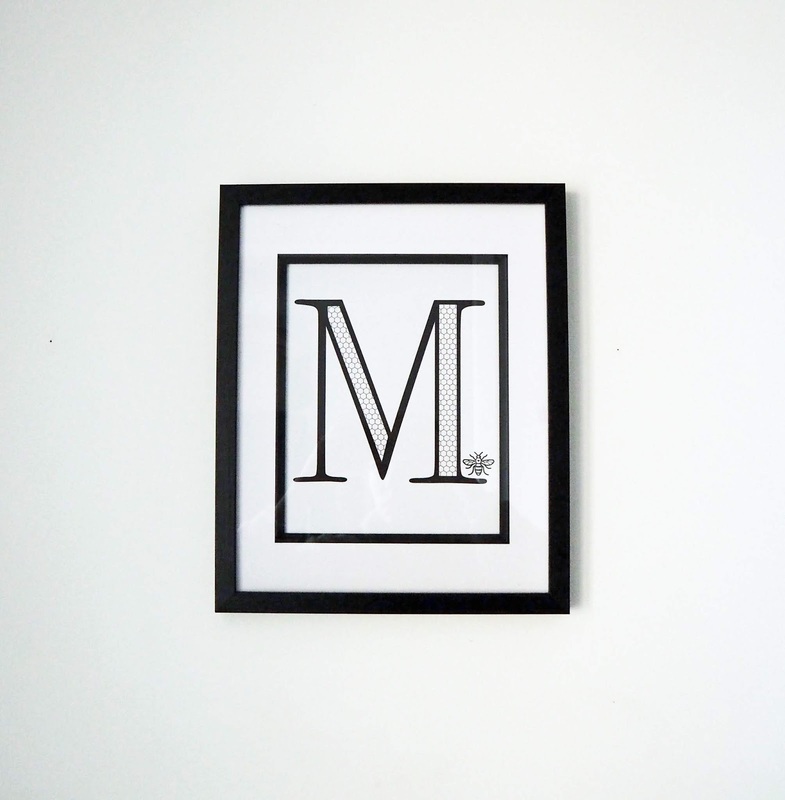 Don’t be scared to hang a few things on the walls. I know the pains of tenancy agreements and the doom and gloom that they are filled with. Scary warnings about everything you cannot do or else you will lose that hefty deposit that you forked out. The dreaded scaremongering phrase that makes a lot of people live in fear. In bland, rented fear. Now I can’t speak for all landlords, but I’ve been renting since 18 and I’ve only ever lost a small fraction of my deposit for a ‘deep clean fee’, which they all tend to whack on there no matter what condition you leave the place in, which is very frustrating. 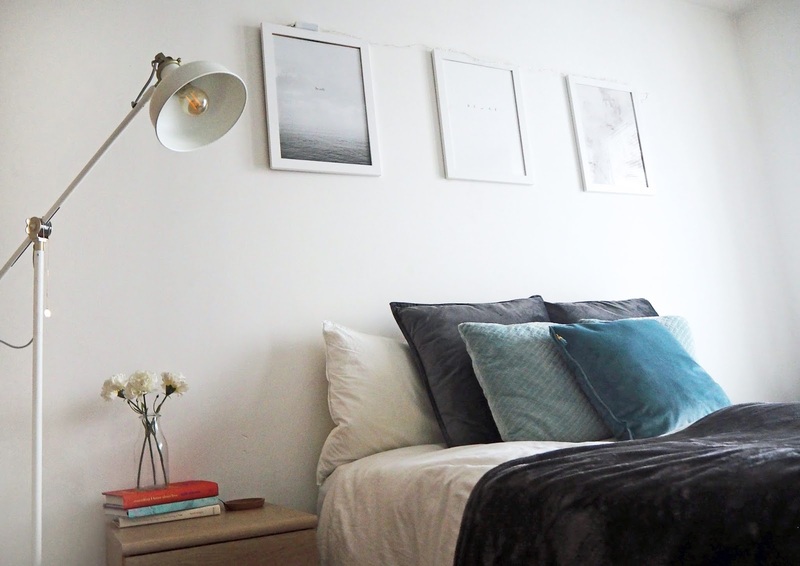 So just do it, hang what you want to hang on the wall, because bare walls are the most depressing thing to come home too, no matter how minimalist you want to be. It instantly makes a house a home in my opinion, and as long as you invest in a tube of polyfilla a couple of days before you move out, then you will still be able to leave the place as you found it, and your sacred deposit will be as safe as can be. This is probably my biggest tip for making a house a home in general. Ever since I moved away to uni at 18, having lots of photos of my friends and family was always my priority and something that made a new foreign space feel a little more like home. 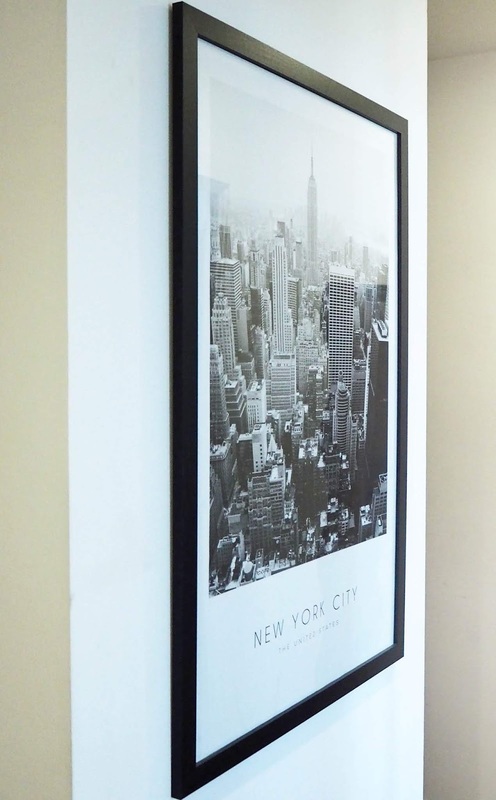 You can get creative in how you display photos to mix it up a little bit across your home. 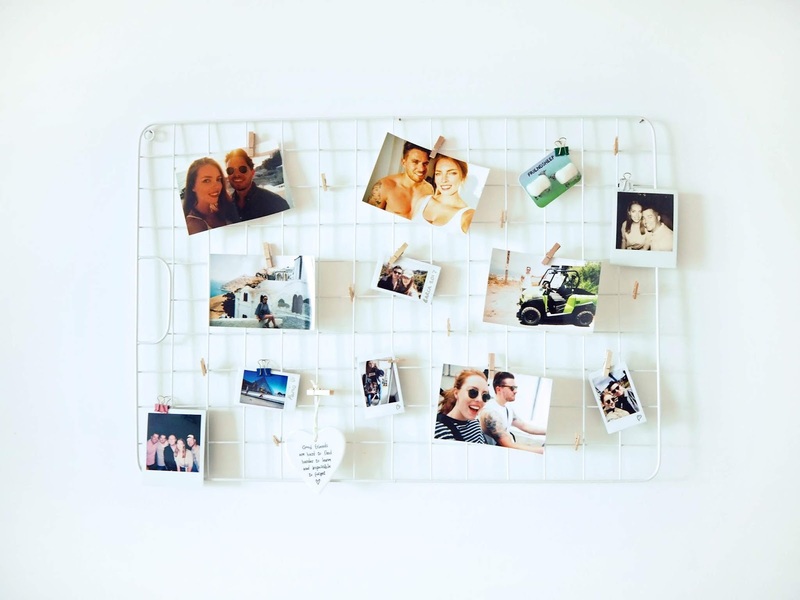 Metal grids seem to be a trend at the moment, and I think they look fab, and of course you can peg whatever you want onto them, filling them up with memories, reminders or inspo, whatever floats your boat. Polaroids are my favourite, I’ve got the Instax Mini Camera, and also the Instax Printer which is one of the best presents I’ve ever received. 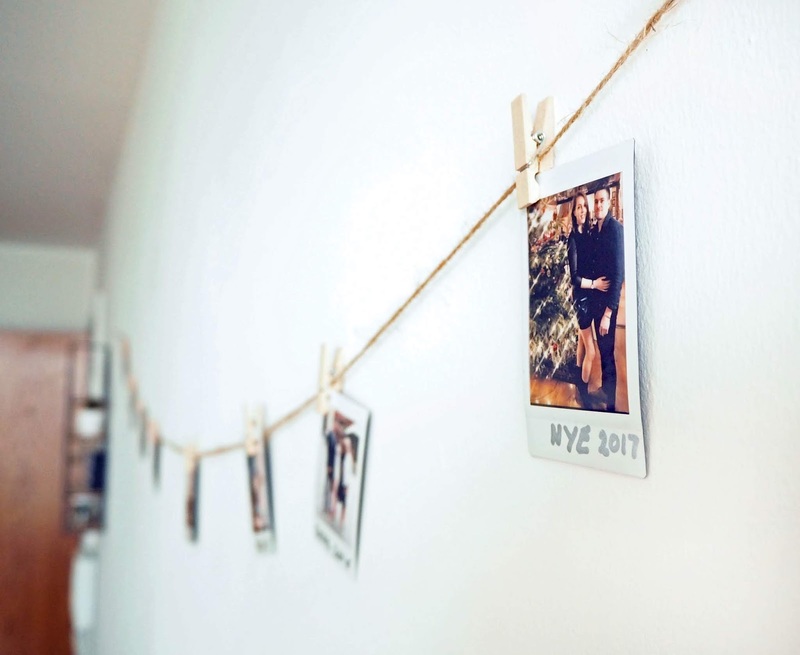 Let’s face it, as much as we love a spur of the moment photo, sometimes they just don’t come out very well, so it is a nice luxury to be able to print out existing images onto polaroids and know they will look fab. I know in the age of camera phones not many people are getting photos developed now, but one thing I love is picking up a disposable camera at the airport whenever I go away. It’s so much fun taking photos and then not being able to see them, edit them or re-take them because ‘it wasn’t your angle’. You can just snap away and forget about them until a few weeks later when you are presented with a pile of 30 spontaneous and unseen photos. They capture the moment so much more than any phone camera can, and these are the perfect shots to have around the home. 3. 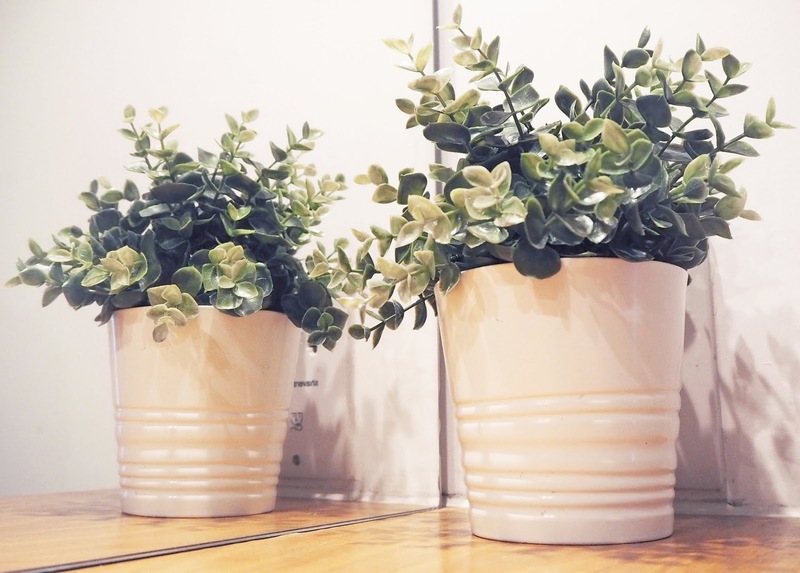 House Plants (real or fake). I love how much life and colour plants bring to a space, and I think it’s great to have them in pretty much every room. I won’t lie, I have had a few casualties. Some plants are so hard to look after! 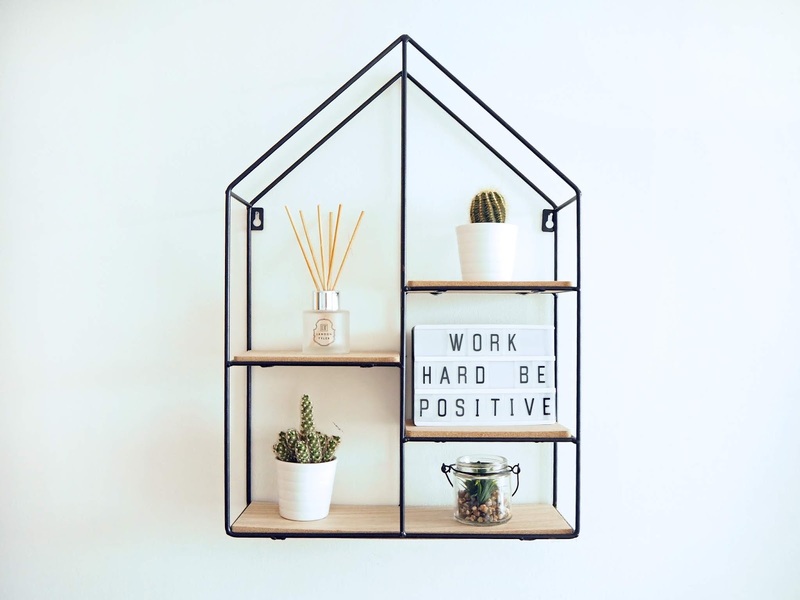 So definitely do your research before just buying one that looks cool, to make sure that you will be able to keep it happy and healthy (or just alive and green will do) in your home with the conditions you have. A.k.a. The Cosy Touches. These make it easy to snuggle up and really relax at the end of the day. And they also stack up on beds and sofas to look more inviting and put together. I love to have a variety of them and swap them around from bed to bed and then back to the sofa, so I don’t get bored of seeing the same old pieces in the same old place ALL the time. 5. Shelving, books and trinkets. I’ve mentioned a thousand times already that this year is the year I want to really get back into reading. And to be honest, I’m already on my 3rd book of the year so I’m pretty damn proud of that. But this means, to Luke’s dismay, I have a lot more books lying around. But to me, that’s great. 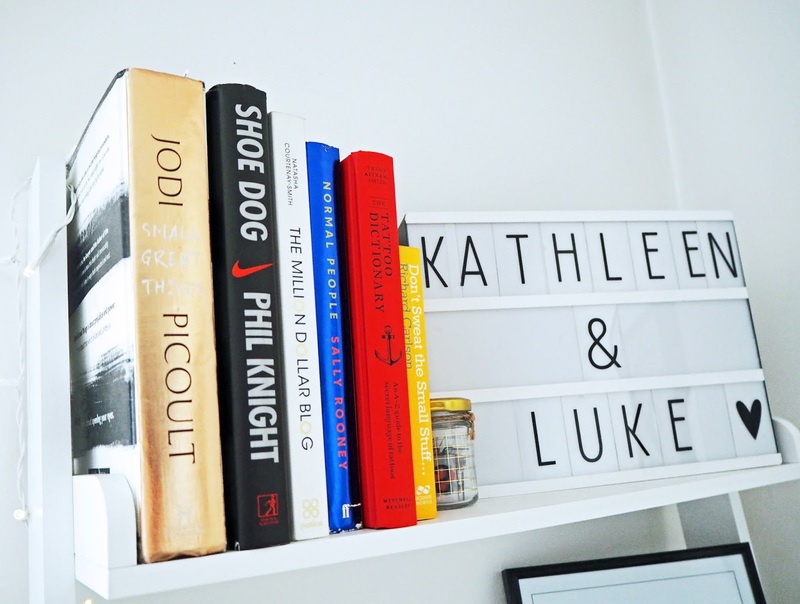 I think books double up as a great decoration and add character to your home. They are the stories you have lived through and a reflection of your way of life. Although I don’t have a bookcase per-say, I have multiple clusters of books scattered around the flat, as you can see a few of them in these shots. The dream would be to have a huge built in bookcase one day, and have that dreamy colour gradient of books you see on instagram. A girl can dream. We don’t have any shelves on the wall (yet…) but we do have a pretty big ladder shelf in our living room, which you’ve seen in a few of these close-up shots. This is home to a few of my book-clusters, as well as some prints of ours, cacti, candles, card games and records. 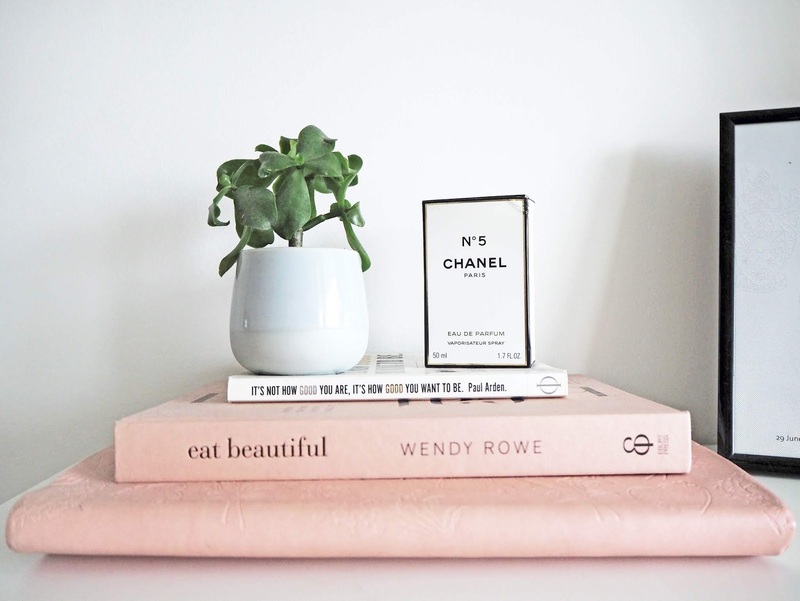 All things that say something about our personalities, whilst being arranged in a way that looks organised and tidy to keep it in line with the Feng Shui of the place. There is a fine line between having things on shelves, and clutter. Please make sure you don’t cross it. A cluttered space is just an invitation for stress (for me, anyway). I hope you liked reading something a bit different over here today, I really enjoyed putting something together that wasn’t just #anotheroutfitpost you know? Although there’s another one coming up in a few days so it’s definitely not a goodbye to that. I will be mixing things up from now on though and incorporating some varied content on Made In The 1990s. I hope you’ll all enjoy seeing it!